This explores ongoing changes in the world of power and energy and takes a careful look at the choices we can make. Home solar or utility power? Oil/gas heat or electric heat pump? Gas car or hybrid/EV? 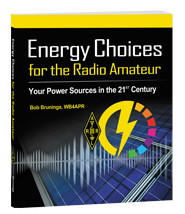 Featuring full-color photos and illustrations, Energy Choices for the Radio Amateur details Bruninga’s experiences with new energy sources. 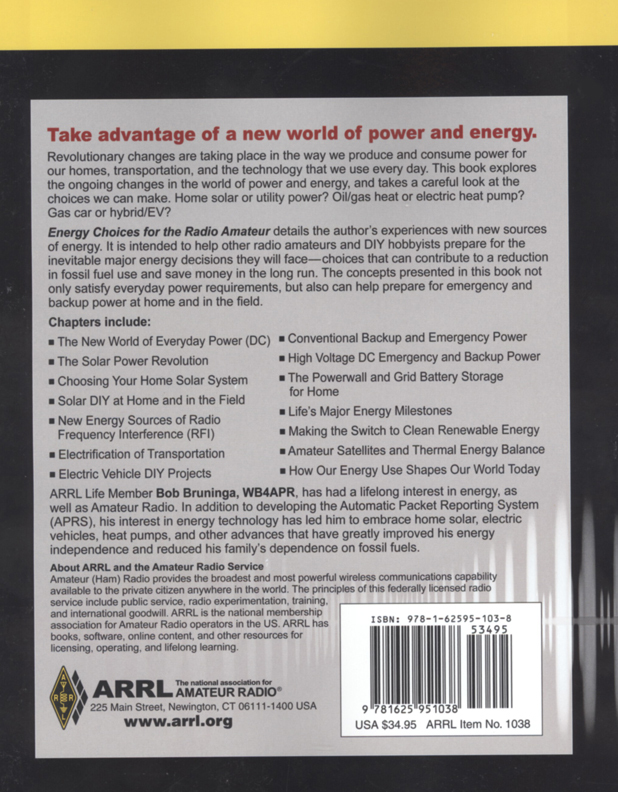 It is intended to help other radio amateurs and DIY hobbyists to prepare for the inevitable major energy decisions they will face — choices that can contribute to a reduction in fossil-fuel use and save money in the long run. The concepts presented in this 320-page volume not only satisfy everyday power requirements, but also can help prepare for emergency and backup power at home and in the field. Bruninga’s life-long interest in energy technology and Amateur Radio has led him to embrace home solar, electric vehicles, heat pumps, and other advances that have greatly reduced his family’s dependence on fossil fuels. ©2019 A.R.R.L. List $34.95. Click here to view back cover. Copyright 2019, Universal Radio, Inc.